Being based in Mansfield, the majority of work that our team do is done in the East Midlands region – however, sometimes we do find ourselves going further afield. One great example of this came just a few days ago, when our team were in the West Midlands, working on a composite door fitted in Sutton Coldfield. 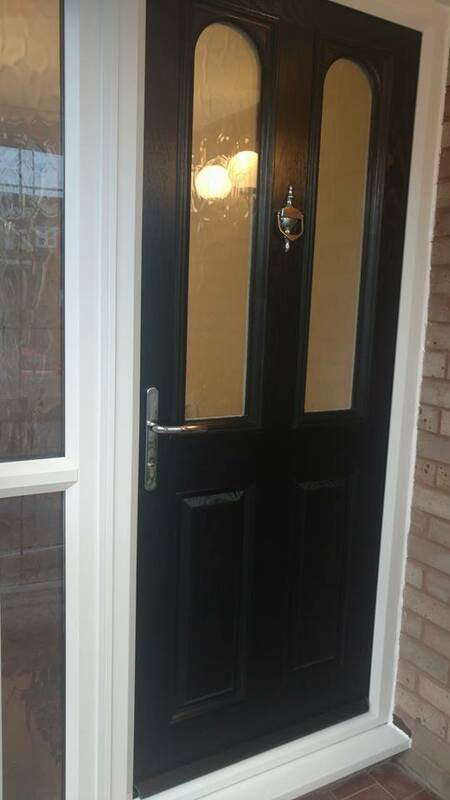 The door, which like all of our doors was designed by the customer using our door designer tool, was in a slick black colour and came with polished silver handle and knocker. It also had a small sidelight and 2 windows all of which had Fleishman glass. 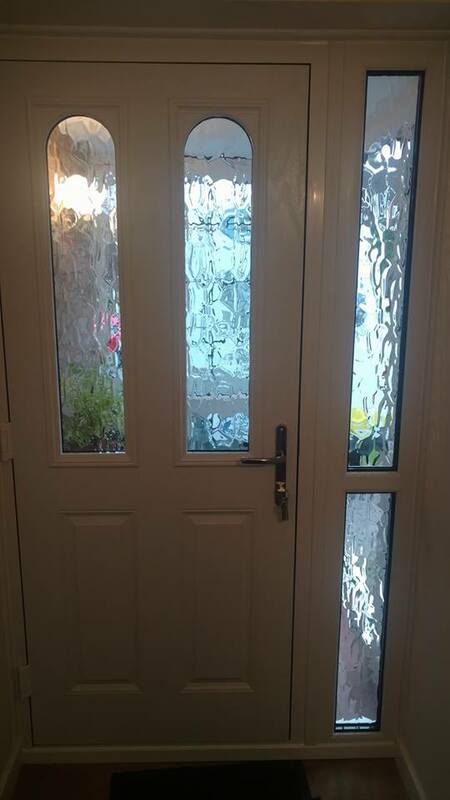 As is standard with all of our products, the composite door fitted in Sutton Coldfield came with our £500 cashback guarantee, meaning that if the door is broken in the case of a break in then we will give the homeowner £500. That’s how confident we are about the security of our doors, which is Police tested and some of the most secure doors available. 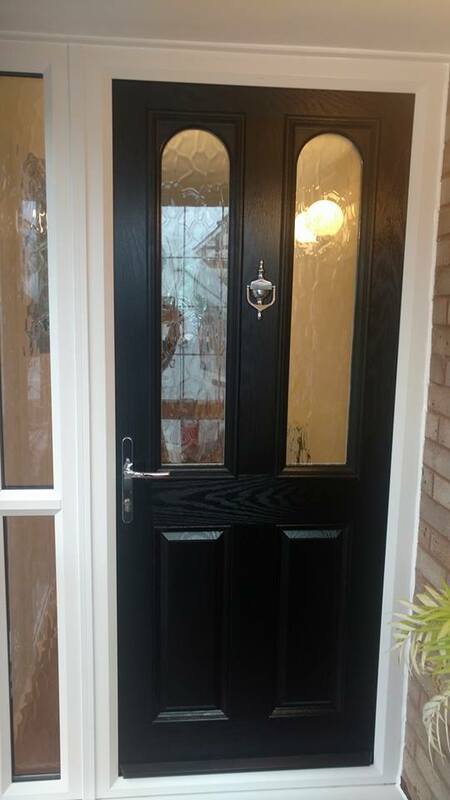 See below for some photos of the fabulous black composite door fitted in Sutton Coldfield by our team. 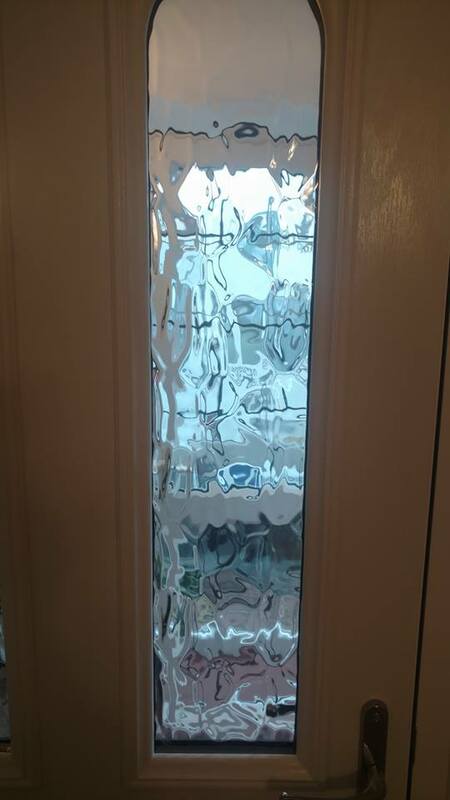 For more information regarding the genuine door stop doors fitted in Sutton Coldfield by our team, please don’t hesitate to give us a call today on 01623 325000, or why not give our design a door tool a go and create your very own bespoke door.